GR precision wirewound resistors provide a higher resistance stability and a higher initial calibration accuracy than any other class or resistor. They also offer excellent noise levels and lower temperature coefficients. Innovators and manufacturers of ultra-precision wirewound resistors and test instruments used as laboratory standards and for critical process monitoring. General Resistance ultra-precision resistors have been used for over 50 years in precision measurement instruments by manufacturers around the world. GR precision wirewound resistors should be specified whenever precision circuit operation is to be maintained over a prolonged period of time. These resistors provide a higher resistance stability and a higher initial calibration accuracy than any other class of resistor. They also offer excellent noise levels and lower temperature coefficients. The highest quality materials are used in the manufacture of these essential circuit elements. General Resistance design engineers customarily employ high quality copper alloys such as Evanohm, Karma, Moleculoy, Stabilohm, Zeranin and equivalent in order to achieve higher predictability and flatter temperature responses. And all critical manufacturing stages are conducted in environmentally controlled "clean rooms." Standard resistance range: any value from 1 ohm to 1.1 Megohms. Standard accuracies: +/-0.1%, +/-0.025%, and +/-0.01%. Special order: virtually any accuracy, tempco, resistance value or ratio matching required by your specific application. Power dissipation at ambient temperature: GR resistors are designed to operate at full load up to +85°C. At temperatures in excess of +85°C derating curves must be observed. 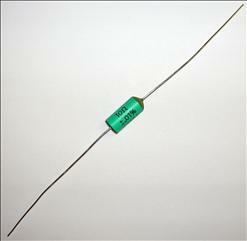 If power ratings are exceeded, the resistor may not perform at specified accuracy.